Flowers can make a life brighter. At least, the right kind of flowers can. And that is exactly what you want for your wedding day, the right flowers. Flower arranging is actually an art form. It is not just anyone that can do it. Some have tried and they have failed. Most people just come and enjoy the beautiful surroundings at a wedding, but they don't realize all of the creative energies and hard work that it takes to pull off those surroundings. A quality, professional wedding florist actually helps create the atmosphere and complementary pieces that coincide with the rest of your wedding décor. So, what are we saying? Don't take the hiring of your wedding florist lightly. If there is one thing that the Los Angeles area has, it is flowers and wedding florists. In order to find the one that will do right by your wedding, we have provided some tips that we believe will lead you to the perfect florist for your dream wedding arrangements. The first thing you will want to do is find and book your wedding venues. You need these so you can show your potential wedding florists what they might have to work with. Once you show them your venues, they should be able to come up with ideas on the spot about how the space can actually be used. The next thing you will want to do is search for Los Angeles area wedding florists on Google. We realize that there will be hundreds of listings, but you will want to pick out some of those closest to you. 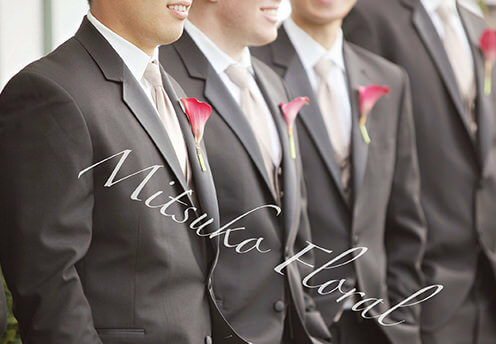 Check out their websites and their online portfolio of floral arrangements they have done for previous weddings. Do you like their work aesthetically? The ones that you actually liked should be invited to meet with you for an interview. Go to the meeting prepared with a list of questions that will emit the responses that you need to know in order to make an informed decision on who to hire. We realize that you have probably never done this before so we have provided some pertinent questions that will help you. Obviously, you want to find out if they will be able to work your wedding based on your date and time. How experienced are they? Keep in mind that being a florist and being a wedding florist are two very different skill sets. Where did they get their training from? How many weddings have they done in the past 6 months? Will they be working more than one wedding on that same day. If they say yes, we suggest that you really consider not going with someone like this. Their attention will be divided and it introduces an element that could lead to mistiming and more. Will they be the one working on your flowers or do they delegate to an assistant. These are all good things to know because if you are not happy with one item, that could make the difference between going with one candidate over another. Ask them what they consider their style to be. Talk a lot about what you like and see if that meshes with their style. Ask them about this? Once they know some of your style likes, how do they thing they could work with it? Be very open about your budget, there is nothing wrong with telling them upfront what you have determined you can pay. Find out what they think they could do on your budget. 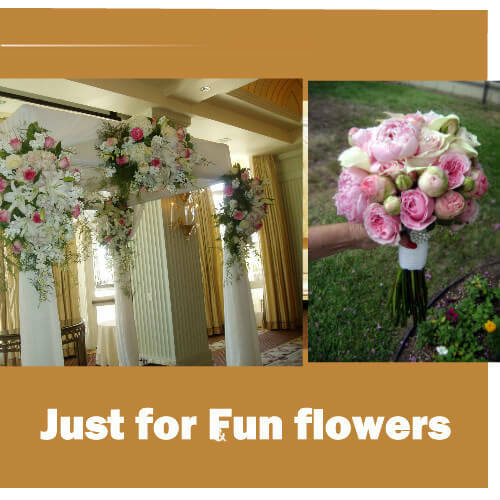 A really good wedding florist will know how to save you money is different areas and might be able to come close to your number. If they don't think they can get close, then at least you know early on that you should not try to work together. It is better to know now rather than later. Make sure they provide you with recent reviews of their service. We suggest calling former clients and having a nice talk about their experience working with the potential vendor. Ask them if there were any red flags. As your candidate makes suggestions based on your wedding plans, your mind should be evaluating if you like their suggestions for your wedding. When you bring up what you like, do they treat you with respect and are they really listening or do you find that they are talking over you and not really interested in what you have to say? In terms of cost, take a look at any packages they offer. Are there hidden fees? Is there a charge for things like delivery, set up and tear down. This is important because that package price that looked so good may not be once all of the added fees are in there. After you have gathered all of your information, compare each candidate. Usually, one candidate will have answered almost every question to your liking and if you have a good gut feeling about them and their price is right, you have found your wedding florist.